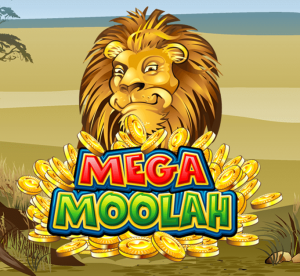 £135 Million in Jackpot - Biggest payout made by Mega Moolah! In January, Microgaming released a financial report about the jackpots paid out in 2018! And believe it or not, the company handed out just over £135 Million (€154,954,249) to casino players around the world. As we all know Microgaming progressive jackpot slots, are some of the most popular games in Britain. In fact, until recently a British player, Jon Heywood, held the record for the biggest payout on Mega Moolah. The CEO also hinted that the company has more games of this genre in the pipeline. In fact, he also said, “We happy to be working on a series of developments aimed at taking our progressive jackpot offering to the next level”. In January, and not long after Microgaming revealed how much the company paid out to players in 2018, all eyes were on Mega Moolah. In fact, the progressive jackpot slot was looking for a new winner. And apparently, it found it too on 30th January! Indeed, throughout the month of January, we carefully monitored the famous game and its jackpot that exceeded 20 million (EUR/GBP)! And it seems that someone won it at the end of January on one of Microgaming’s site. But don’t worry, if you miss this jackpot! It’s still climbing, and many casinos offer the progressive jackpot slot including Cashmio, Instacasino and LeoVegas. And any of these casinos could change a players’ life with a spin next time it falls!